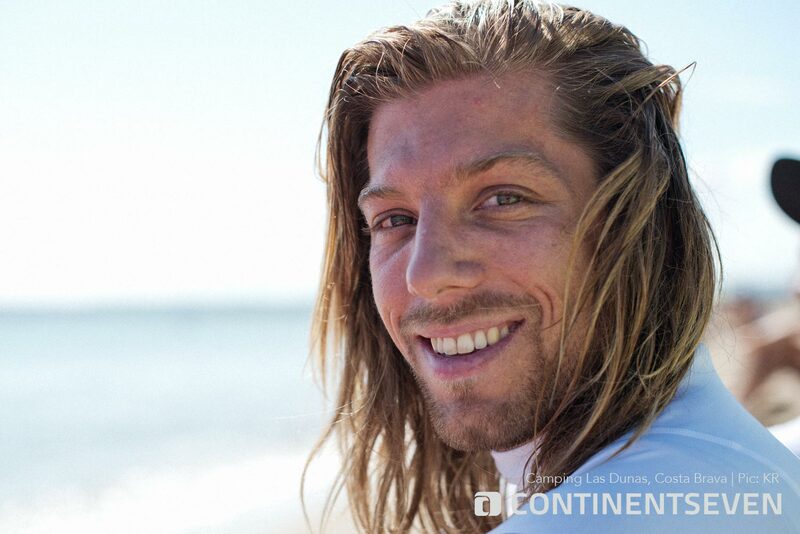 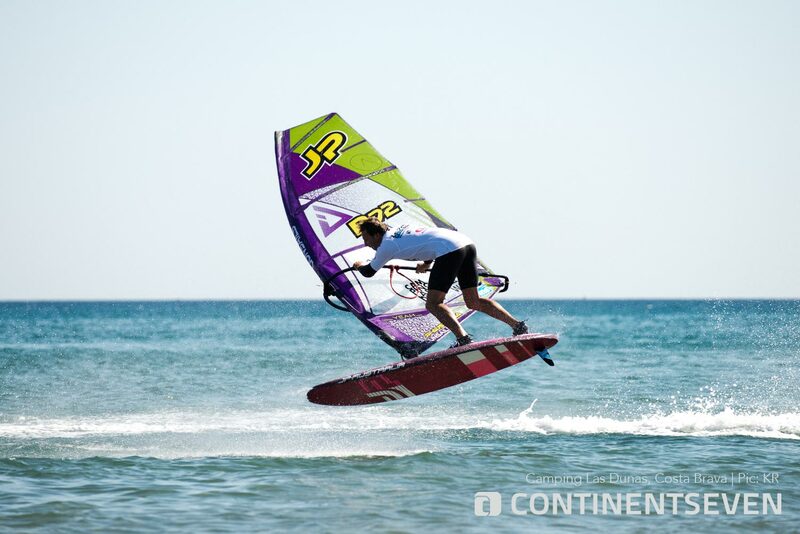 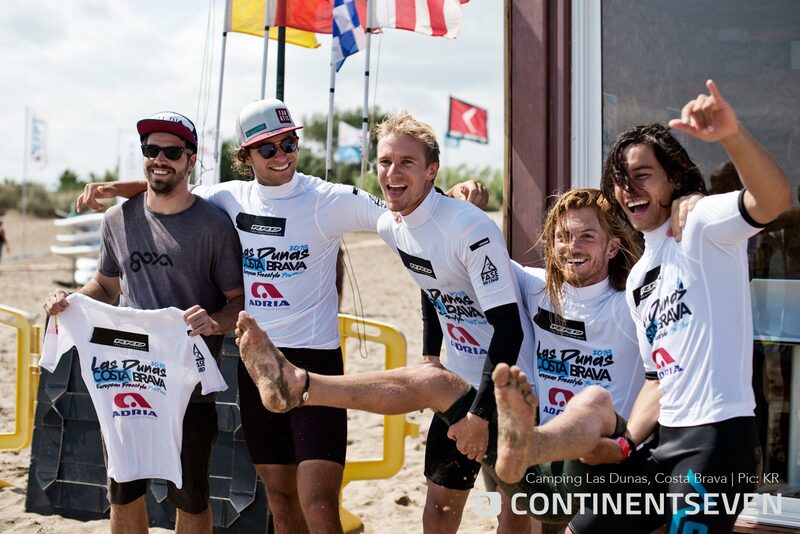 For the first time the EFPT crew and riders headed to Costa Brava in Spain. 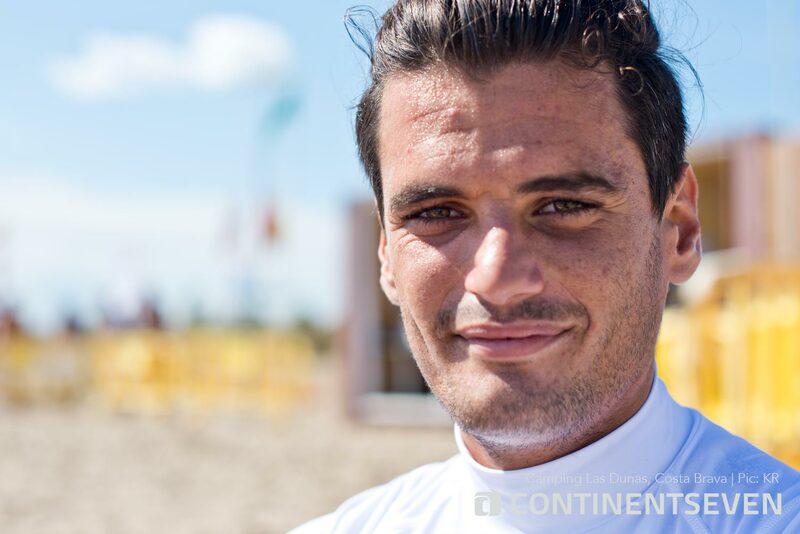 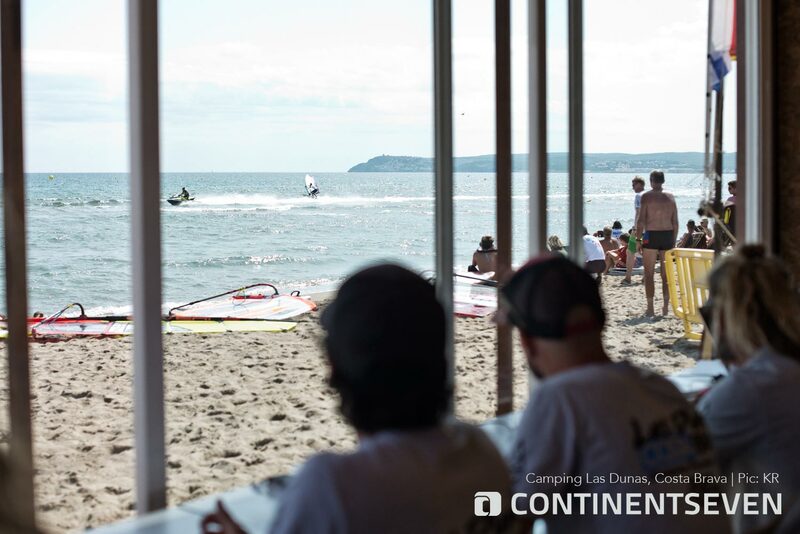 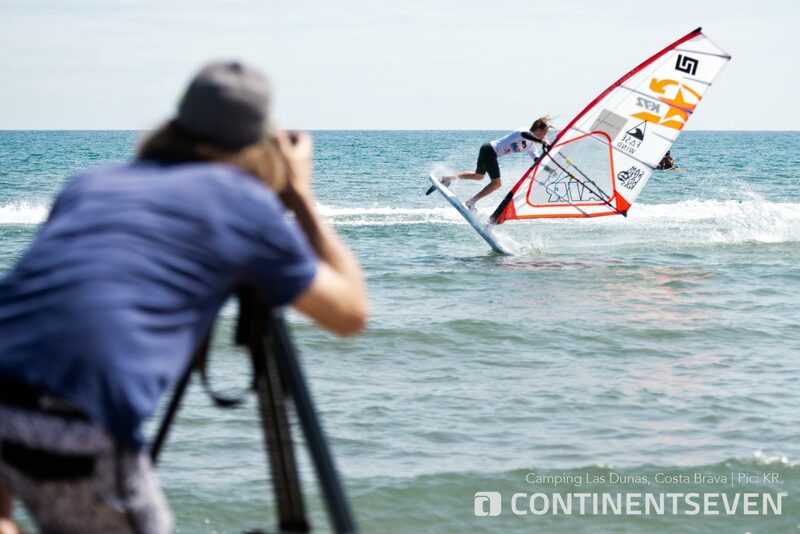 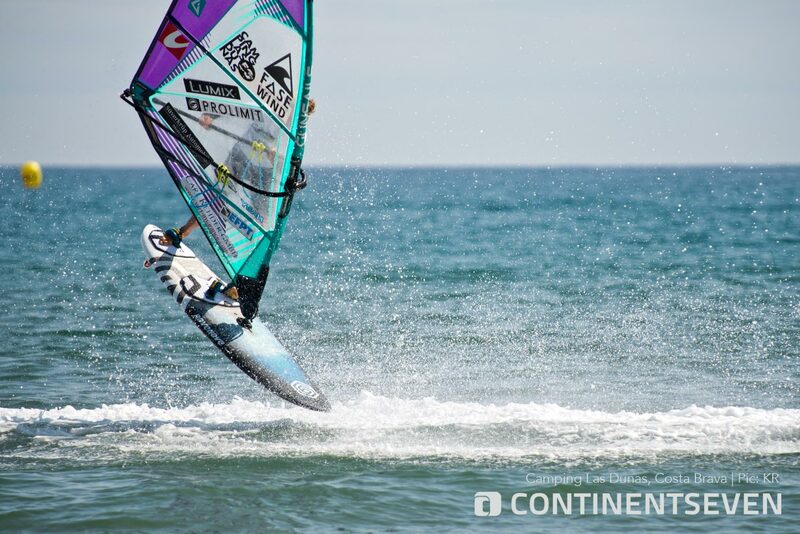 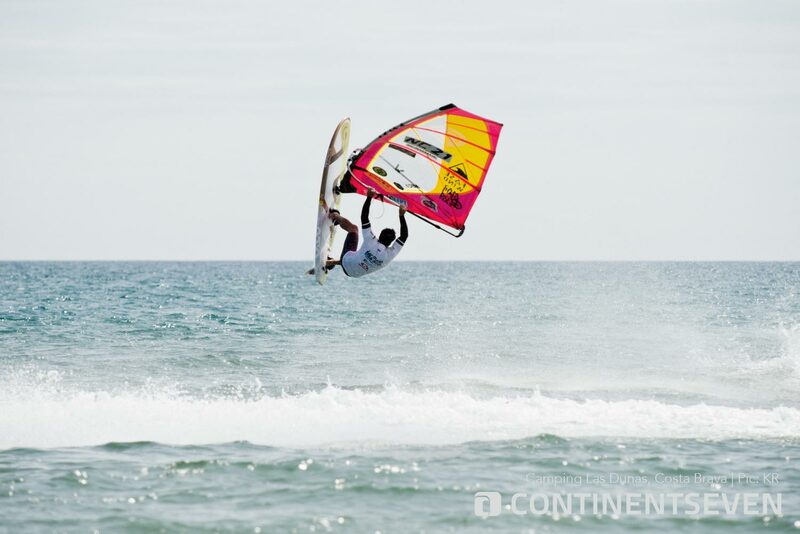 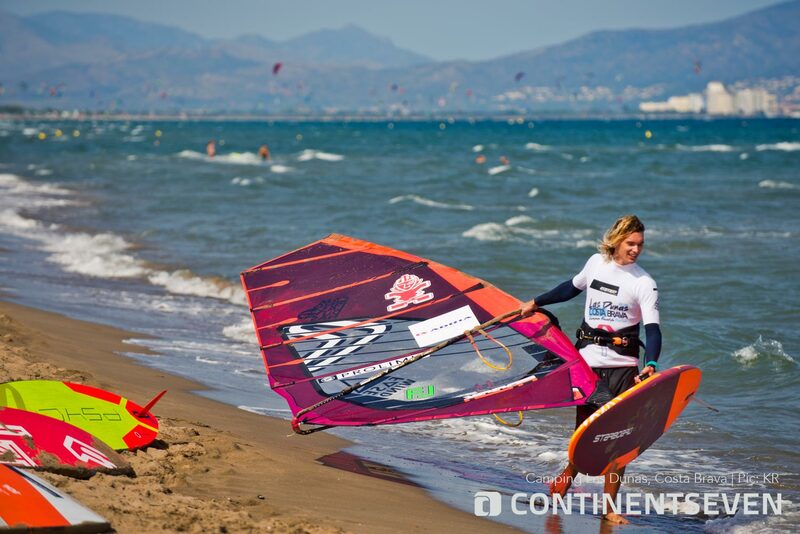 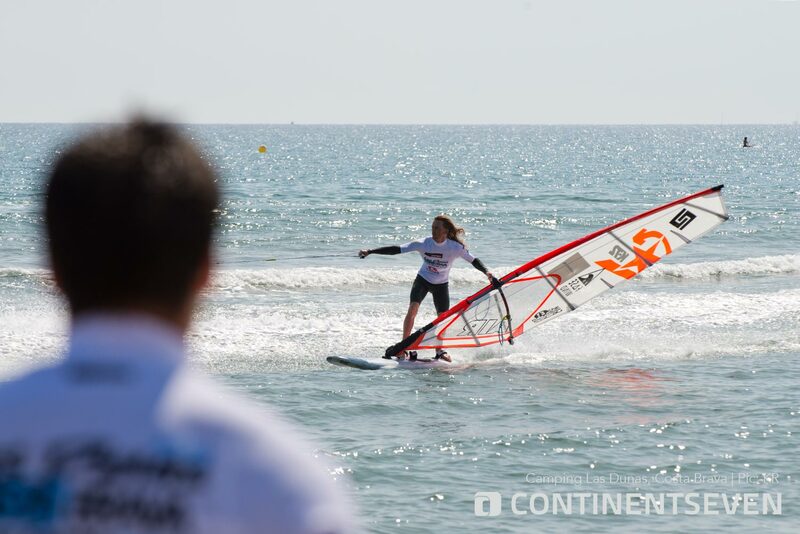 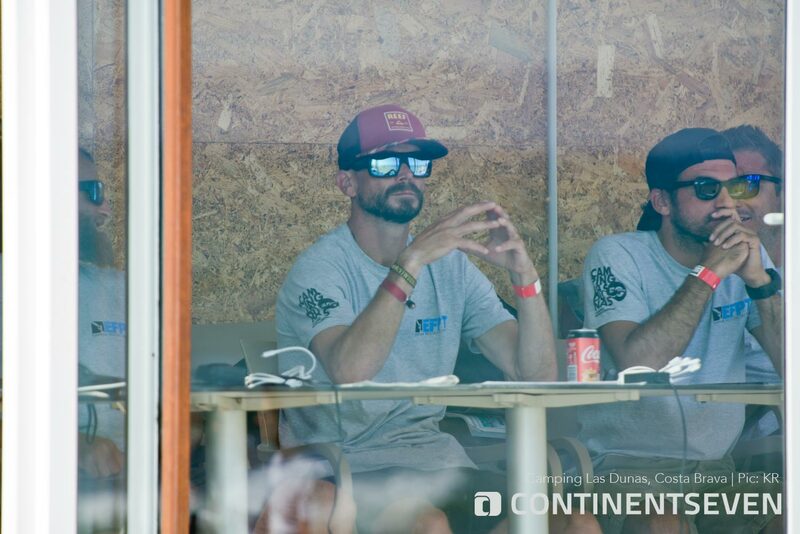 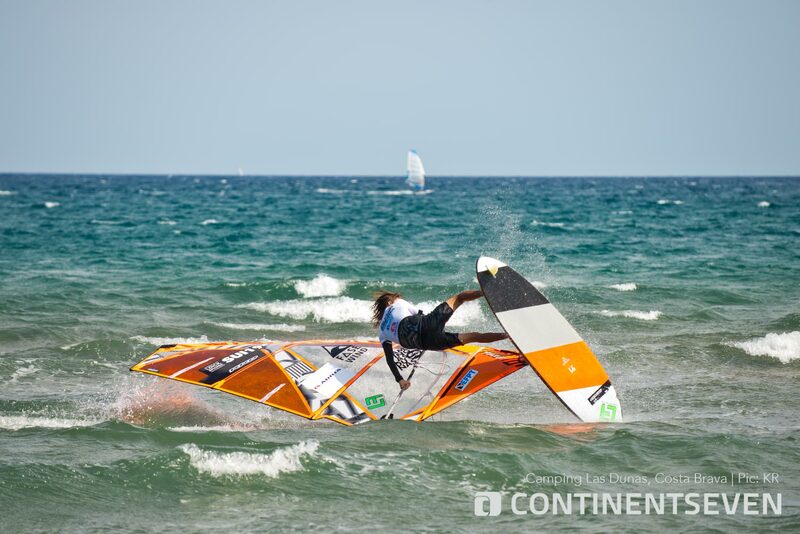 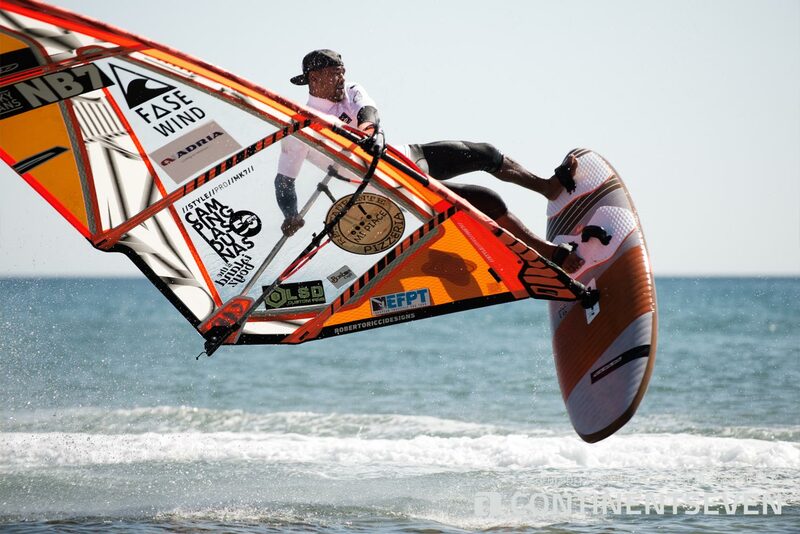 Camping Las Dunas together with Fase Wind Center were the hosts of the event and were providing the perfect infrastructure for a windsurfing event. 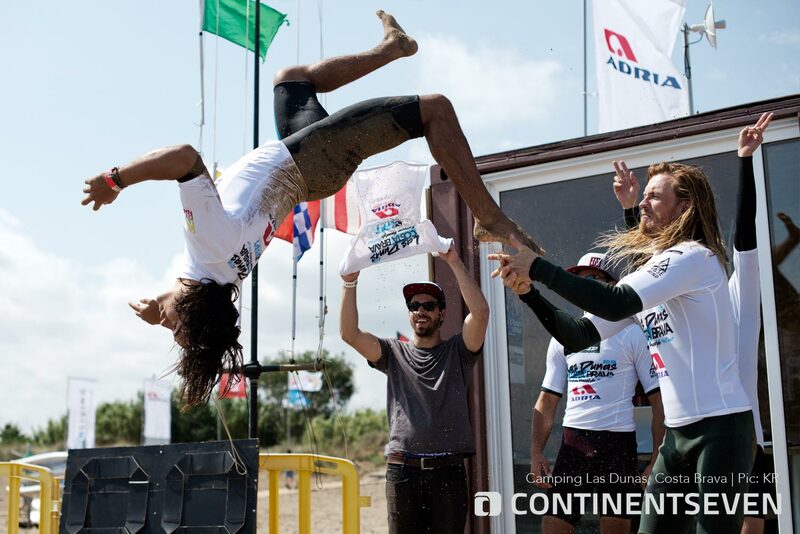 In the Tow-In compeition it was Adam Sims, who was stomping a clean Culo into Culo, to win the tow in competition in front of Mattia Fabrizi and Steven van Broeckhoven. 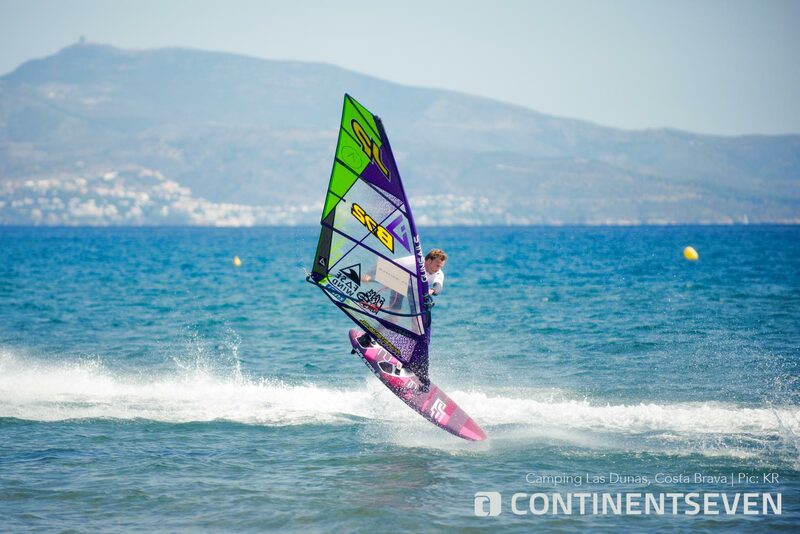 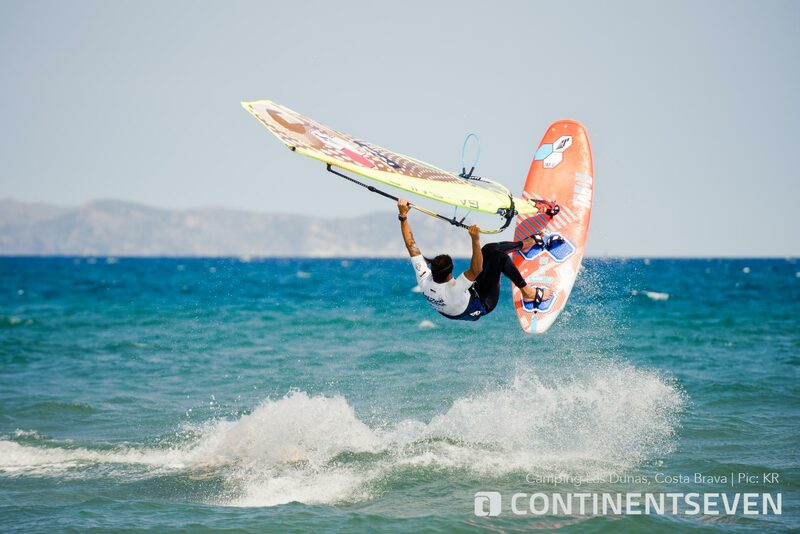 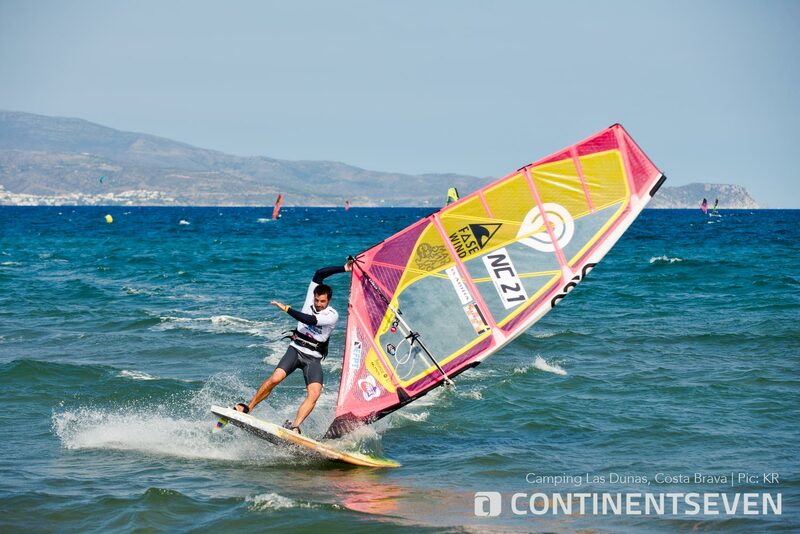 On Saturday, after 3 days of very light wind and only tow-in competition, the afternoon breeze picked up and provided suitable conditions for a windsurfing freestyle competition. 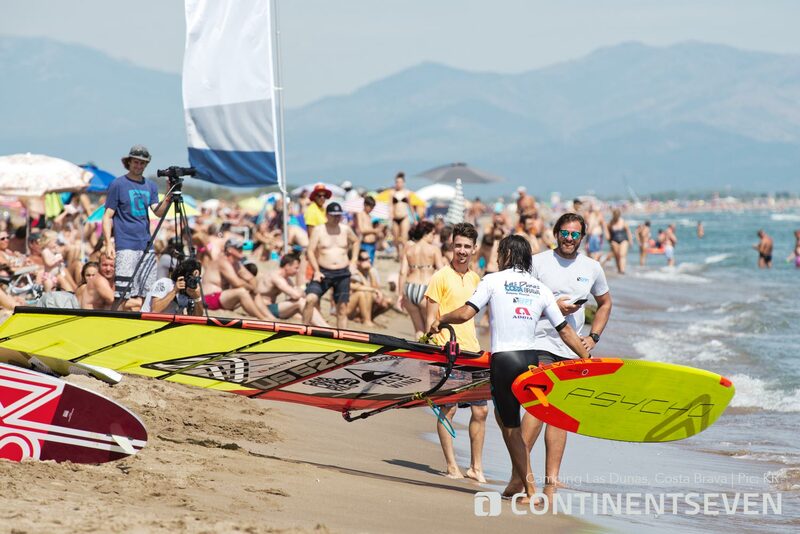 Around 14:15 the green flag went up for the first heat. 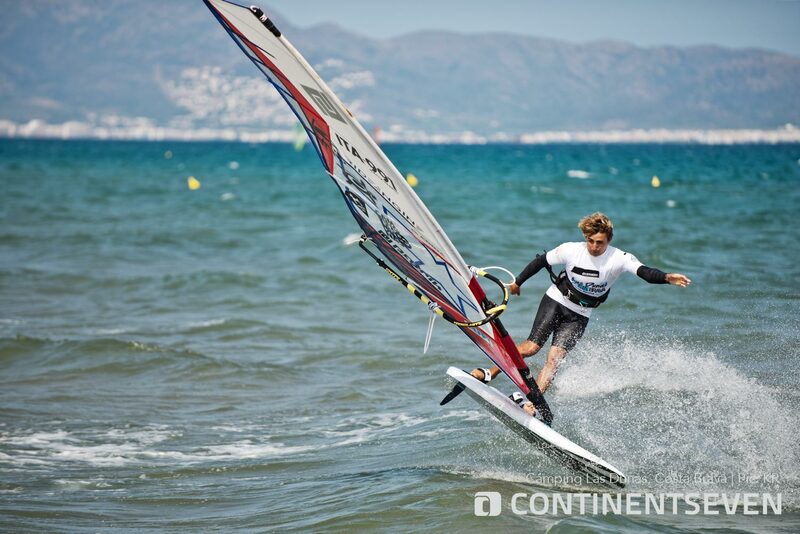 In the following three hours we saw some world class moves in lighter wind conditions. 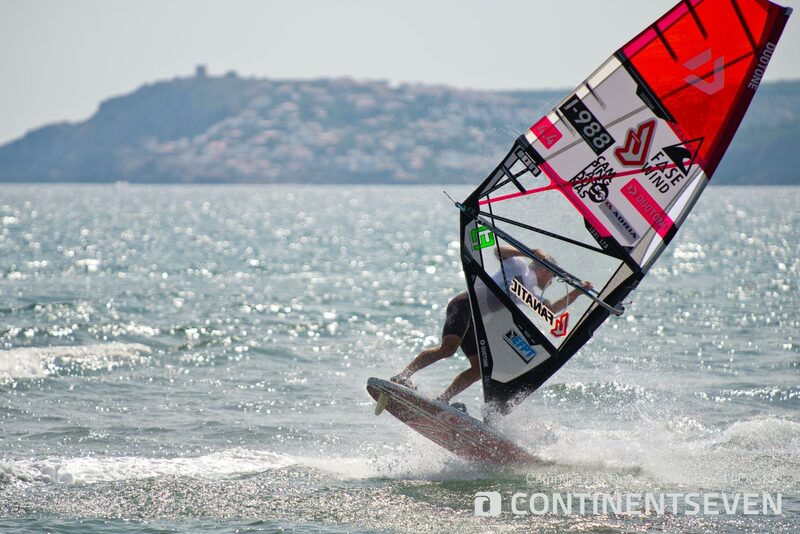 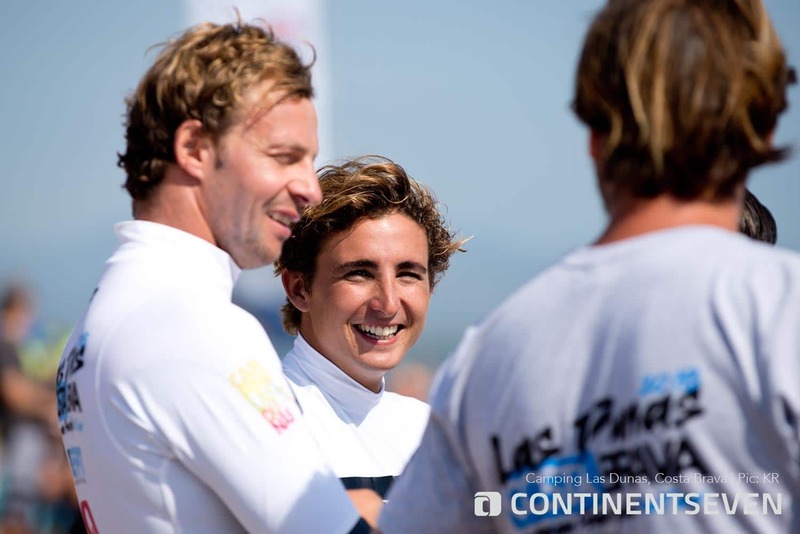 The riders were on their 5.2 or 5.6m sails but unfortunately just two heats could be finished, due to some heat cancellations and discussions about the conditions. 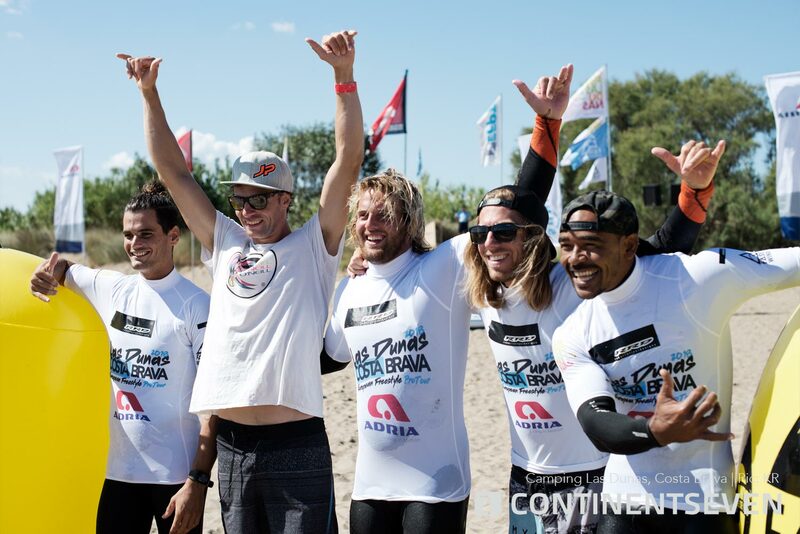 Giovanni Passani, Mattia Fabrizi, Francesco Cappuzzo, Riccardo Marca, Antoine Albert, Steven van Broeckhoven, Tonky Frans and Loick Spicher made it into the next round. 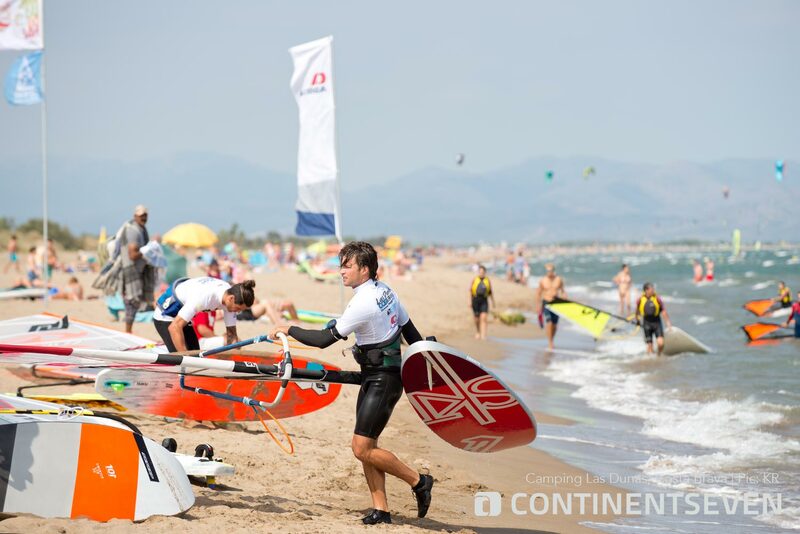 But unfortunately the wind did not pick up to suitable conditions on the last day of the event to finish the single elimination. 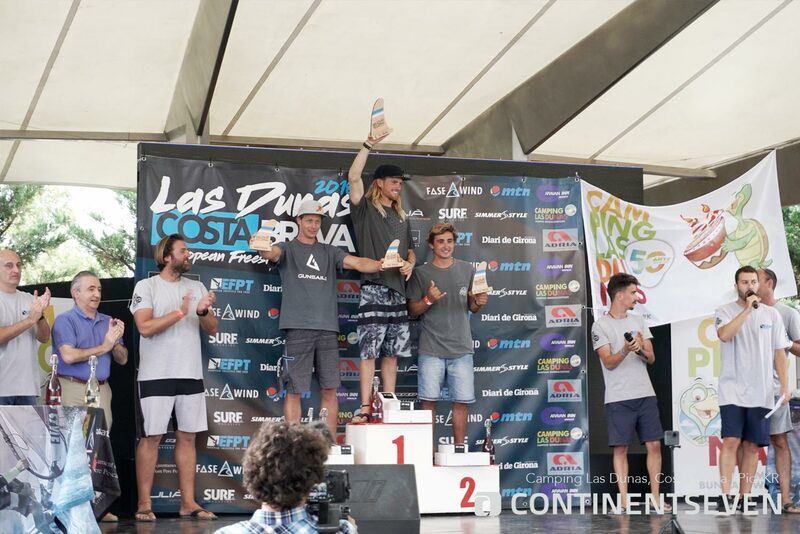 The final day ended with a nice closing and award ceremony. 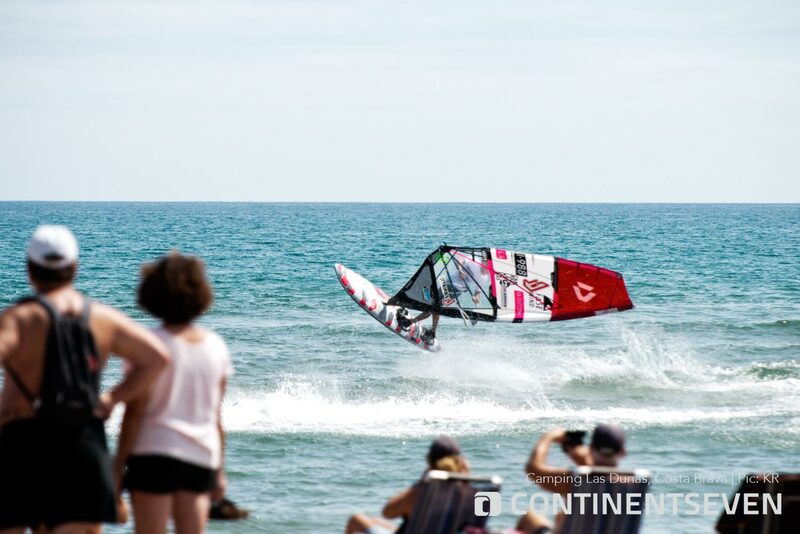 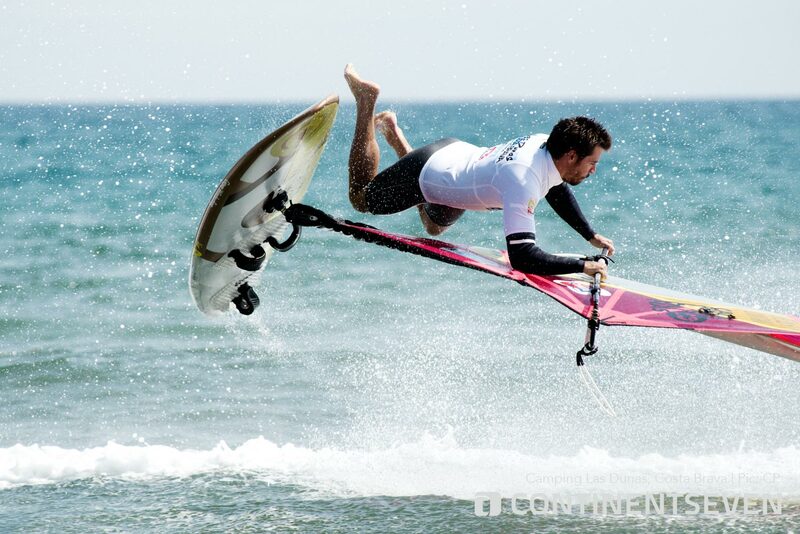 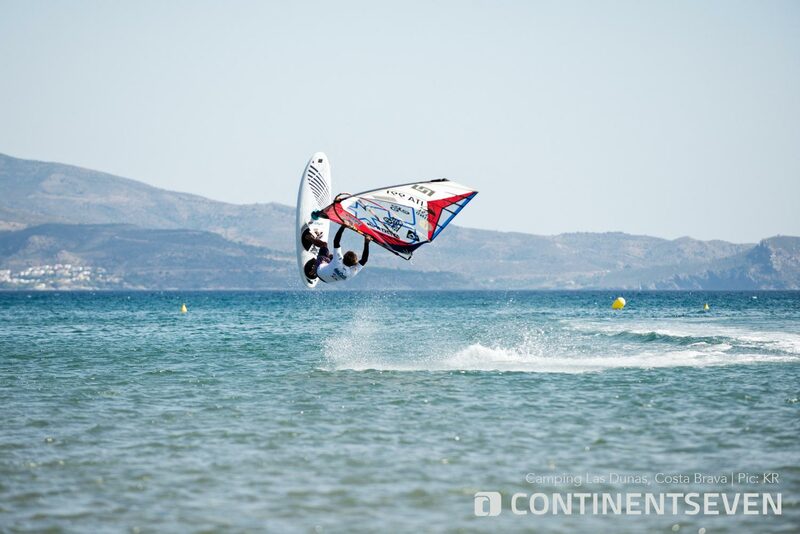 Crazy idea to have a competition at the Costa Brava in the beginning of september. 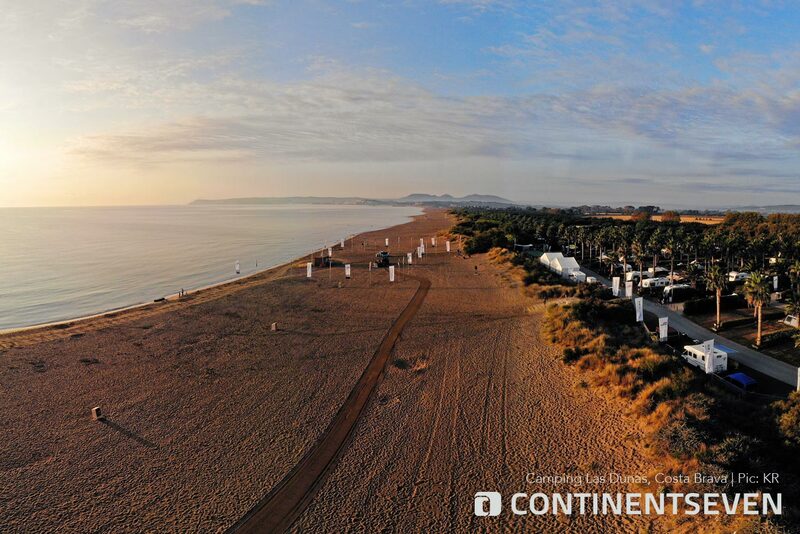 Too late for good thermic wind and too early for the tram to march in. 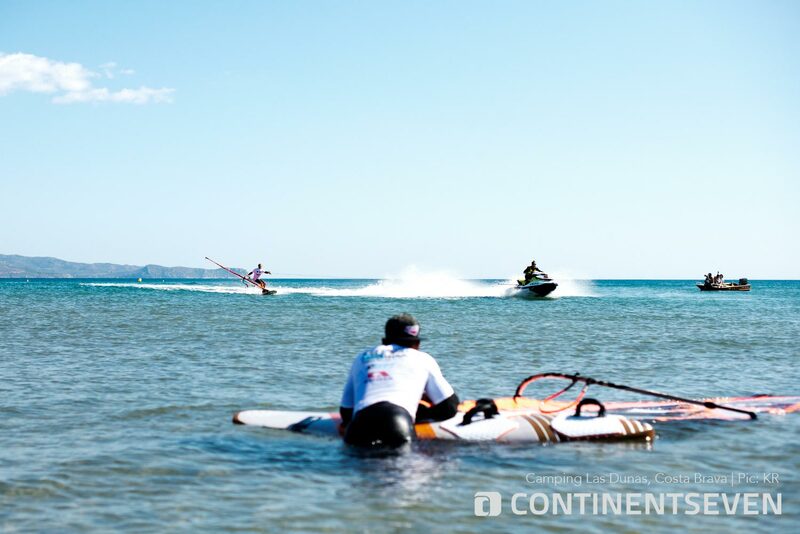 Next year the event will be at the end of May.